What Can You Expect With Spice and K2 Withdrawal? Synthetic cannabinoids such as Spice and K2 are herbal mixtures sprayed with chemicals that supposedly have effects similar to marijuana when smoked. Spice and K2 addiction treatment options include inpatient and outpatient. Either of these may include detox to help with withdrawal symptoms. When choosing a rehabilitation center, consider the cost, location, the program’s experience treating Spice and K2 addiction, and the success rate. Other ways to get help include talking to a friend or your doctor, and attending a Marijuana Anonymous meeting. Some substance abuse recovery centers focus on Spice and K2 addiction, and programs are available for teens. Synthetic cannabinoids, also known as Spice or K2, are herbal mixtures coated in various manmade chemicals that claim to have effects similar to marijuana when smoked. Since their creation, synthetic cannabinoids have grown in popularity, leading to more and more users suffering the consequences of addiction and withdrawal and in need of help. People who abuse Spice or K2 can develop a dependence on them. The amount of time it takes to develop an addiction will depend on the person. Breaking an addiction to Spice or K2 and getting off the drugs may require substance abuse treatment. Building a tolerance to the drugs, so that you need more of them to achieve the same effect. Experiencing withdrawal symptoms such as headache, restlessness, anxiety and nausea when you stop using. Lack of motivation or interest for activities you used to enjoy. Spending a lot of time obtaining and using Spice or K2, and recovering from their effects. Trouble meeting obligations at work, school or home. If you or someone you care about is addicted to Spice or K2 and wants to stop smoking, there are several ways to get help. Substance abuse rehabilitation occurs in either an inpatient or outpatient care setting; your decision to begin treatment at one or the other may depend on how severe your use is. It may also depend on any co-existing medical or mental health factors that will also need to be addressed. An addiction treatment professional can help you determine which type of program is best for you. Inpatient treatment involves removing yourself from your everyday environment. You are able focus entirely on your recovery, while being provided with round-the-clock supervision and access to medical and behavioral health services. For many—including those who have relapsed after completing a previous rehab stay—such all-inclusive, intensive treatment makes inpatient the most sought-after type of treatment for addiction. Residential: You live at the treatment facility while receiving care. Luxury: You work toward recovery in a luxurious setting focused entirely on comfort and around-the-clock care, including personalized treatment. Executive: Similar to luxury programs, but you may also have access to features that allow you to continue to work such as offices, Internet access and meeting rooms. Most inpatient treatment program types are available for a fixed period of time. But they can be extended to varying lengths as necessary. 30-day – You attend therapy sessions (both group and individual) while living in a sober environment. This stay length is popular because it does not require a long-time commitment, and it is most effective for those in the early stages of Spice or K2 addiction. 60-day – This is an extended version of the 30-day program. You form stronger relationships with your therapists as well as build up support networks with peers in recovery. 90-day – The longer you stay in a program, the longer you have to develop recovery and relapse prevention skills. Outpatient treatment allows you to work on recovery while living at home. This type of treatment can be quite intensive, but it does not include around-the-clock care. Outpatient programs can be a very effective treatment option for less severe cases of dependence. You engage in several different aspects of treatment to improve recovery, with either the core treatment services or the enhanced services. Core outpatient treatment – Group and individual counseling, addiction education, medication management (if necessary), 24-hour crisis coverage, community support groups, vocational training, family involvement and counseling, individual treatment planning and transition management. Enhanced outpatient treatment – All the core services plus adult education, transportation services, housing and food, recreational activities, adjunctive therapies (yoga, meditation, etc. ), licensed child care and parent skills training. You focus on developing coping skills and relapse prevention skills in both a group and an individual setting. You continue to live at home but visit the treatment center several times a week for therapy and medical care. For younger users, early abuse treatment can make a huge difference in their recovery. Many teens are worried about entering a treatment program with people outside of their age group and find that programs that involve their peers offer them the most comfort and support. Some rehab programs specialize in teen Spice or marijuana addiction treatment. Many of these programs are in California, but teen-specific programs can be found nationwide. Some are gender-specific, and some offer specialty treatment for teen issues. Can Teens Be Forced Into Rehab? If your teen does not want to go into treatment, you may force them into rehab, depending on the age of your child and the state that you live in. Thirty-eight states have laws allowing someone to be forced into rehab, though the effectiveness of involuntary treatment remains under debate. Until 2012, Spice and K2 were technically considered legal with no age-buying restrictions. As a result, they became very popular among adolescents. In fact, synthetic marijuana products (Spice/K2) are the second-most popular illicit substance after marijuana among high school seniors, with 11.3% reporting past-year use. Who Answers? or help deciding what type of treatment program is best for you. Program prices vary depending on the type of program, with inpatient treatment costing more than outpatient. The size of the program and length of stay will also impact the overall cost, along with the location and level of luxury. Medicaid, Medicare and other health insurances now cover screening for substance abuse. But this coverage does not always include treatment. Depending on which state you live in, marketplace (government-organized) insurance plans often cover abuse treatment to varying degrees. Visit the health insurance marketplace to see what kind of coverage your state offers. In addition to cost, check out the program’s experience with Spice or K2 addiction treatment, or at least its experience treating marijuana abuse, as Spice and K2 are still relatively new drugs. Every substance has its own process of withdrawal and recovery, so finding a program that specializes in Spice and K2 will greatly improve your treatment outcome. Also look into whether the program treats dual diagnosis conditions—which occur when a person is struggling with multiple addictions or diagnoses (for example, addiction and depression). If you have or are concerned you may have multiple diagnoses, it’s best to first undergo thorough evaluation from a mental health professional and then seek out a program that specializes in treating dual diagnosis. Programs with higher success rates are more likely to be effective. The location of the treatment program will also play a big role in your selection process. For some people, staying close to family is very important in their recovery. For others, complete escape from their home environment will offer them the best recovery process. Here are some other actions you can take today to get help for an addiction to Spice or K2. Talk to a trusted loved one or friend about your addiction—preferably someone who is not also using drugs. Ask this person to help you find a professional treatment program or counselor. 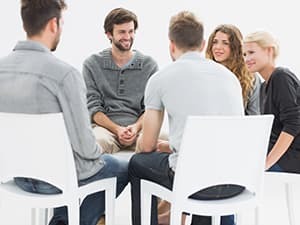 Consider attending a Marijuana Anonymous meeting if one is available in your area. Although synthetic cannabis use is slightly different from regular cannabis use, much of the information about recovery and treatment will apply. In addition, you will meet people who are dealing with similar issues, and you can ask the program facilitators for information about local counseling organizations. Discuss your Spice drug use with your primary care physician. Even though general practitioners are unlikely to have expert knowledge about addiction treatments, they can refer you to substance abuse counselors and other addiction treatment professionals. It’s also important to share information about drug use with your doctor, including simultaneous use of multiple substances as well as any related medical, mental or behavioral health issues so that he or she can best diagnose and treat related health conditions. In addition, a thorough medical evaluation should be performed prior to seeking treatment, as a period of hospitalization or partial hospitalization may be required. Acute renal injury has been associated with smoking synthetic cannabinoids. In an addiction treatment setting, medications may be used to ease the withdrawal process. Benzodiazepines may be prescribed to help manage the anxiety, psychomotor agitation (shaking) and seizures. Treatment of Spice and K2 abuse and withdrawal is primarily supportive. Many users find that Spice or K2 support groups help them through the withdrawal process. Using Ibuprofen and Tylenol to cope with body and headaches may also be helpful. If you are struggling with an addiction to synthetic marijuana or any other drug, or know someone else who is, get help today. Call 1-888-319-2606 Who Answers? to speak with a treatment support specialist, who can provide you with tips for immediate treatment options at the appropriate Spice and K2 recovery center in your area. Zimmermann, U. S., et al. (2009). Withdrawal phenomena and dependence syndrome after the consumption of “spice gold.” Medizin, 106 (27). 464-467.